Mix all ingredients together, form into balls no more than 2cm in height. Cover and refrigerate for 20 minutes. Attach the deep pan plate to the 360 or Evolve grill and pre heat on maximum. Add 1 tbsp. 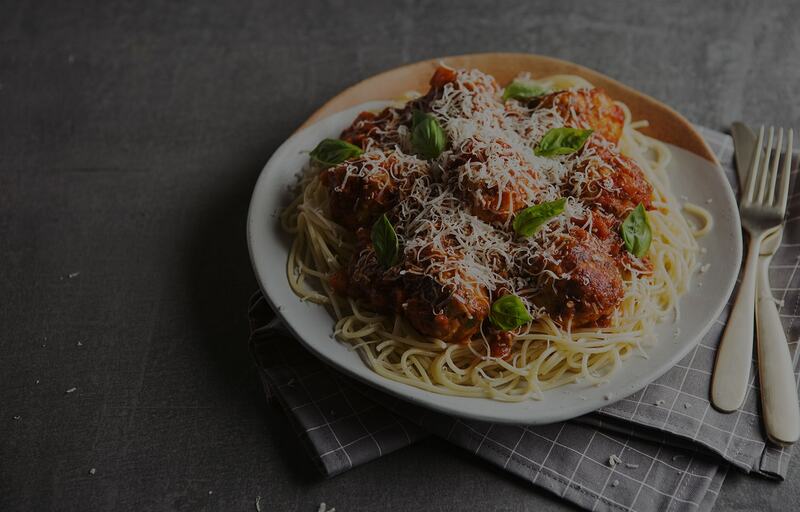 of oil and add the meatballs, close the lid and cook for 5 minutes, open lid and move the meatballs around, close the lid and cook for a further 5 minutes. Repeat this again and check the meatballs are cooked through. Serve with pasta or sauce of your choice if you wish.